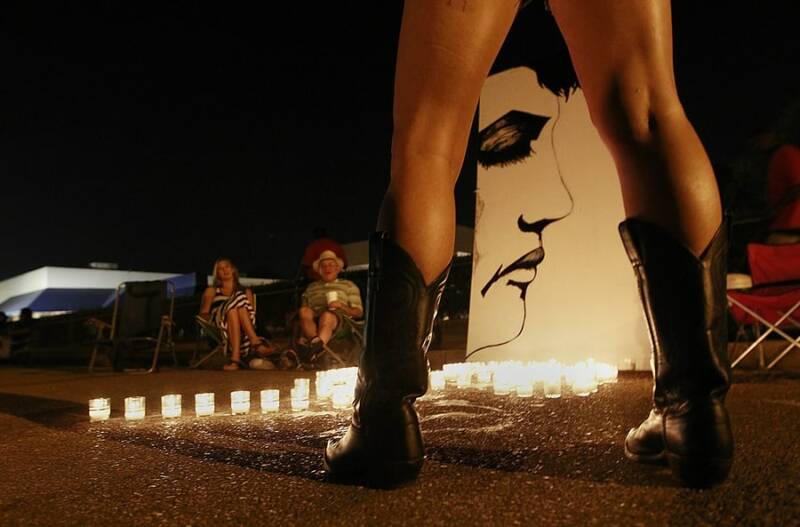 Nathan Pittorf of Buffalo N.Y. drips candle wax onto a makeshift Elvis memorial on the street outside Graceland, the home of the late Elvis Presley in Memphis, Tenn. on Aug. 15. 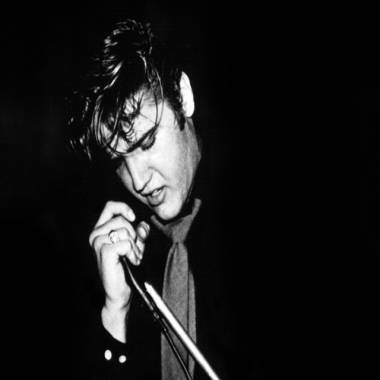 Elvis died at the mansion 35 years ago and his life and career is celebrated every year at this time during Elvis Week. The rise and fall of the King of rock 'n' roll. Elvis Presley faithful from around the world flock to Memphis, Tenn. to visit Graceland, the home of the "King" who died 35 years ago Wednesday. 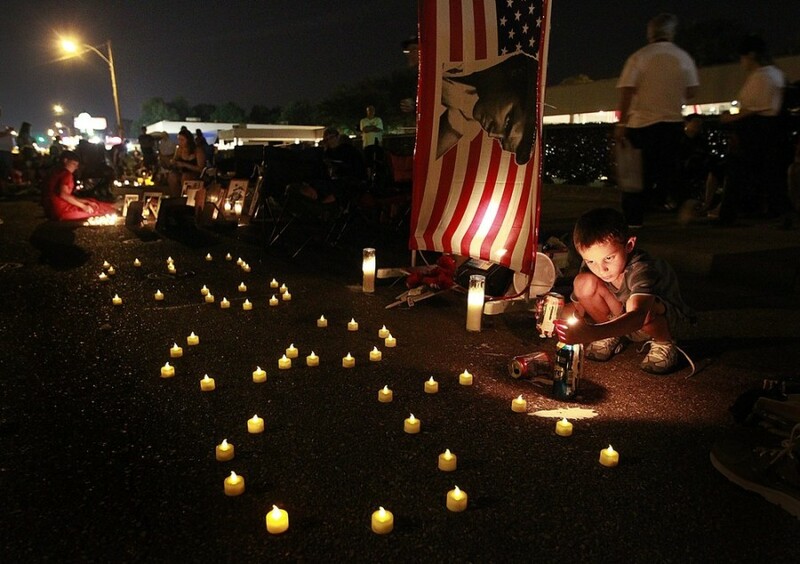 A candlelight vigil is held every Aug. 15 to marks his death and is the high point of Elvis Week, a celebration of his life and career. This year, fans got a surprise welcome from the King's former wife and daughter, Priscilla and Lisa Marie Presley. Melanie Headley stands near a giant Elvis painting on the street in front of Graceland in Memphis, Tenn. on Aug. 15. A man places a flower at Elvis Presley's grave during a candlelight vigil at Graceland, Presley's Memphis, Tenn. home, on Aug. 15. Fans from around the world are at Graceland to commemorate the 35th anniversary of Presley's death. 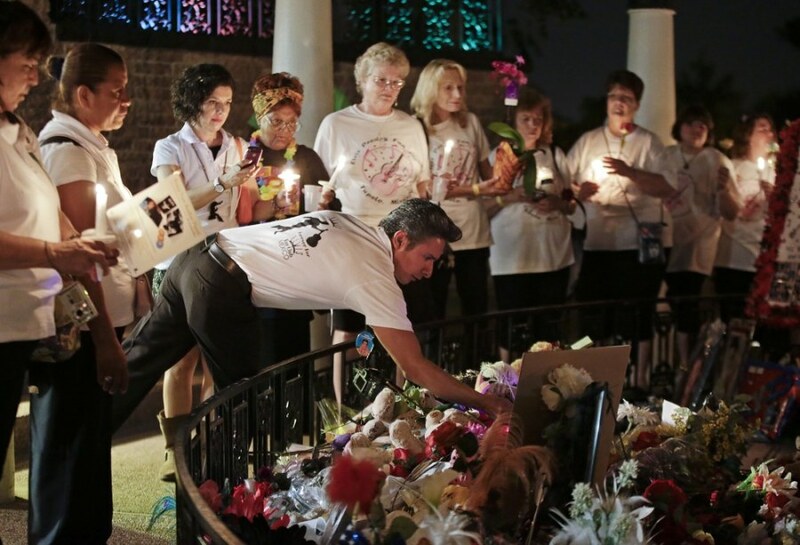 Priscilla and Lisa Marie Presley, Elvis's ex-wife and daughter, speak to fans gathered at a candlelight vigil in Graceland Aug. 15. On the 35th anniversary of Elvis Presley's death, TODAY's Natalie Morales talks to wife Priscilla Presley and daughter Lisa Marie, who say they can still feel the music legend's presence all over Graceland, "where he felt safe."